There has been much debate lately, including on my Facebook page, whether Coin Master from Moon Active is truly disrupting the social casino genre or whether it should be classified in a different category. Much of the debate shows how challenging it is to disrupt a segment or an industry. Coin Master is classic disruption, and understanding the debate helps conceive of additional ways to disrupt. For those not familiar with Coin Master, it is a mobile game currently generating over $250,000/day currently or an annualized run rate based on Q4 2018 of over $280 million (source: Eilers & Krejcik Gaming, LLC). This would make it the second largest social casino game, behind Slotomania but ahead of well known titles like Doubledown, Heart of Vegas, Big Fish Casino, Hit It Rich!, etc. Given the success of Coin Master, there are many excellent articles about the gameplay mechanics, monetization, etc., and I will not repeat what others have written better than I could. For those who have not played Coin Master, there is a single, (simple) slot machine and not only do you win coins, you also can attack and raid other villages. You then use your coins to build your village. Coin Master uses a slot mechanic as part of the core game loop, hence why it may be categorized as a social casino product. As a social casino product, many think it has successfully disrupted a highly profitable but stagnant space. Conversely, as there are RPG and Invest-Express elements, it is also argued that it should not be considered social casino, thus it is not disruptive. The latter argument, however, misses the point of disruption. One way to approach disrupting an industry is to take a Blue Ocean methodology. I have written frequently about Blue Ocean strategy and am a strong advocate of this technique. In Blue Ocean strategy, you create a new market space by serving the non-customers of an industry, making the competition irrelevant. You do this by adding-reducing-eliminating-increasing features. This approach is exactly what Moon Active did with Coin Master. They built a game that served people who were not currently engaged in social casino. They also did not try to compete directly with Playtika or Aristocrat, with the eight figure marketing budgets those companies have, they disrupted the industry by finding untapped demand. Add. Key elements that Moon Active added include raiding and attacking friends and city-building (invest express). Reduce. Among the elements that Moon Active reduced were number of slot machines, quality (graphics and depth) of slots and purchase options. Eliminate. Moon Active also eliminated several features that are seen in virtually all other social casino products. These include locked machines, pay-tables, jackpots, tournaments and a reward system. Increase. Finally, Moon Active increased certain elements. Among the features increased were the value of progression, interaction with your friends and the importance of card collection. There are many examples of companies in other industries that disrupted their industry with a Blue Ocean approach. Cirque de Soleil is one of the most popular examples, as the circus business was stagnant until Cirque de Soleil reinvented the industry by creating a new type of product that appealed to different customers. Ringling Brothers did not consider Cirque a competitor and most argued that it was a different, not disrupting the circus industry. Amazon did the same to retail when it started selling books online. Barnes & Noble and Borders did not consider it disruptive, and retailers in other industries certainly did not, as their customers were not looking to buy books (or shoes or electronics) online. When Wikipedia launched, Encyclopedia Britannica did not consider it a competitor. Now you probably would use Wikipedia to remember what Britannica was. In all of these Blue Ocean cases, many argued the disruptive competitor was not a competitor or in the same category because it was so disruptive. That is the case with Coin Master and those who are arguing it is not disrupting the social casino space are largely proving that it is true disruption. If you prefer red oceans and have not succumbed to Blue Ocean strategy, Coin Master is also a textbook example of classic disruption theory. 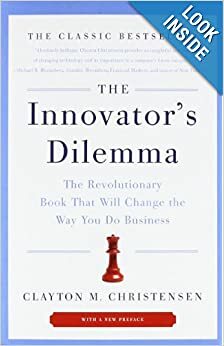 Clay Christensen is considered the father of understanding innovation and disruption, with his book The Innovator’s Dilemma required reading at every tech (and most non-tech) company. In The Innovator’s Dilemma, incumbent businesses focus on improving their product to better meet customers’ needs but eventually lose their market to disruptors who appeal to less sophisticated customers initially but end up providing a more appealing, broader solution. The incumbent understands its customers and is continually improving its product to suit better these customers. Christensen stresses, however, that it leaves the incumbent open to disruption. By focusing on existing customers, new entrants can create a product, often inexpensively, that appeals to a different set of customers (there are parallels with Blue Ocean). Institutionally, the incumbents are forced to resist appealing to these customers out of concern of alienating existing players. An example would be the growth of the personal computer business. The PC initially did not compete with mainframes and mini-computers. Incumbents did not want to build these machines because they knew their customers needed a powerful machine and would not be interested in the “silly” PC. That arrogance allowed small companies (like Dell and Compaq) to build their business. Incumbents did not consider PC companies’ competitors because it did not fit the framework of what a computer does. Eventually their products became so good that the customer of the incumbents shifted and thus the PC disrupted the computer business. In the Coin Master case, existing social casino companies know players well and are constantly building better slots and apps to meet these customers’ expectations. That is why you are seeing average revenue per user increase linearly, the companies are getting better at delivering value to existing social casino customers. Moon Active, however, created a slot machine with relatively low production value that does not compete for the player who wants an authentic casino slots experience. Coin Master appeals to a broad market while still leveraging a slot mechanic. Just as with the Blue Ocean analysis, most of the industries Christensen studies that were disrupted in this manner did not consider the product or company creating the disruption a competitor, at least initially. Blackberry did not consider the iPhone a competitor, Blockbuster did not consider Netflix a competitor, GM did not consider Honda a competitor and server hardware companies never thought AWS would impact their business. Rather than being an academic argument, it is important to realize that Moon Active is actually disrupting the social casino space. First, while disruptive products initially do not impact incumbents, in times they do shift the industry and create new winners and losers. While Digital Equipment, Data General, Olivetti, et. al., thrived for years they are now afterthoughts. Second, the disruptor is blazing a path for other companies. Coin Master will go from a Blue Ocean to a Red Ocean product, and there will be other successes in the new Red Ocean. Most importantly, Coin Master shows how to disrupt the social casino space. It is not about changing the type of jackpots or the orientation of the screen, it is about creating a social casino product that makes the competition irrelevant. Coin Master has taken the social casino space by storm, generating more than $250,000/day, by disrupting the space and deviating from how other social casino products compete. Coin Master exemplifies how to disrupt an industry, appealing to non-customers of the industry by adding new features, increasing others while eliminating some elements and reducing the emphasis on other features. Coin Master is a textbook example of how to disrupt and succeed in the social casino space, by creating a product that makes the competition irrelevant. Many companies, particularly in the game space, have failed to match their local success in international markets. Ones that believe they are particularly data-driven have often had the worst results. The biggest single contributor is that these companies experience false negatives, negative results that they then extrapolate to the opportunities outside their home market. 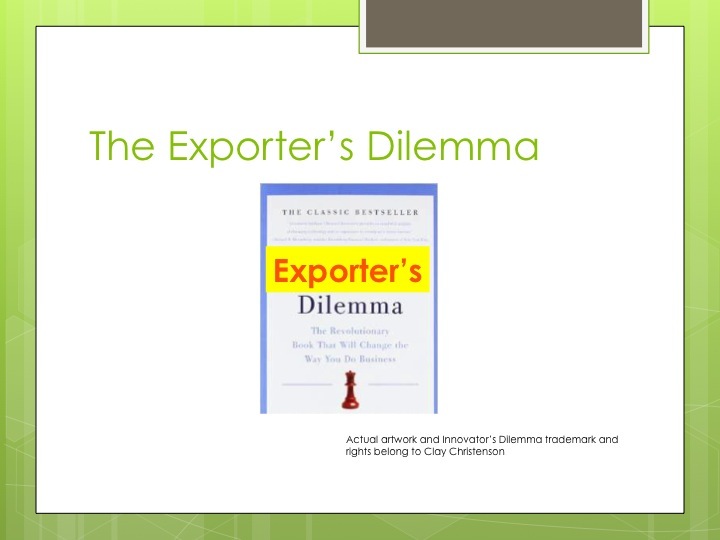 I refer to this phenomenon as “The Exporter’s Dilemma,” as a homage to Clay Christensen’s seminal work, The Innovator’s Dilemma . In The Innovator’s Dilemma, Christensen shows that successful companies have trouble innovating because they know their customers too well. Innovating is about creating products that initially appeal to a new customer, which then evolves to penetrate the existing market. Existing customers do not find the new offering compelling, thus the company believes it is not an opportunity. Successful companies also have trouble innovating because they are successful and they have built a structure that does not support small opportunities. Thus, an innovative opportunity may only contribute one percent or less to the bottom line, and thus the company does not put any resources into growing the disruptive innovation. Instead, a small competitor takes the opportunity and grows it into a business that then undercuts the established companies existing business. There are parallels to both these issues when building an international social games business. Great games have already optimized for the core market. A top social game team is going to be a top team because they look at the metrics for their existing players and evolve the game to generate the best metrics from those players. That could include features that will perform well or licensing IP that resonates with the players. 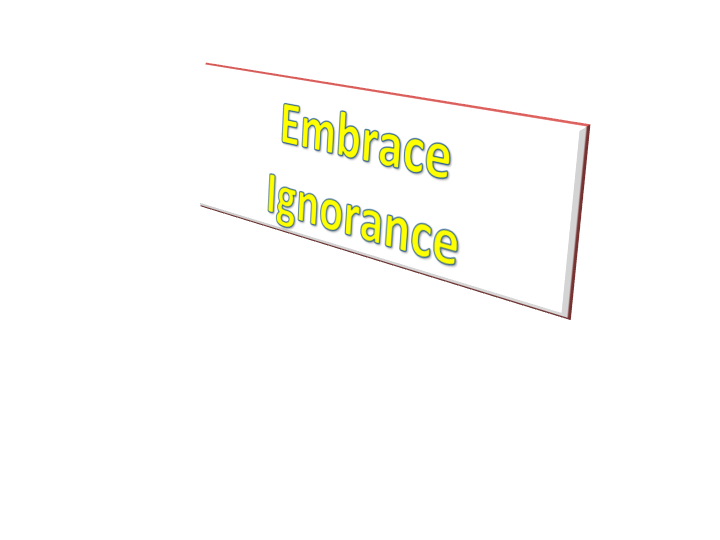 I recently had a conversation with a gaming industry CEO whom I deeply respect that reinforced a MIT Sloan Management Review article, “Embrace Your Ignorance” by Michael Schrage, about how the savviest leaders promote and embrace ignorance. The thesis for both Schrage and the CEO was that you cannot accurately predict what your customers will want, like or need. Thus, you need to embrace this ignorance and run experiments to get the data. I have seen many companies where the leadership “felt” they understood the customer and would develop new products for these customers. It leads to project green light meetings very similar to the draft room in Moneyball, where people argue based on their experience which initiatives have the most potential. It is also one of the biggest contributors to the huge number of failed projects, particularly in the gaming space where we typically see more than 8 out of 10 new games fail. This issue is actually often a bigger problem with executives who have had past successes. Even if they knew their existing or past customers very well, they do not necessarily know what a broader or new market wants. Even their existing data can skew innovation effort, which is the core point of the Innovator’s Dilemma: Companies that have been leap-frogged often create innovations for existing markets rather than new markets. I came across some great books this year, many of which I summarized in this blog, and thought it would be helpful to list the books I have found most valuable professionally over the years. I will focus, though, on the recent ones that have had a strong impact. 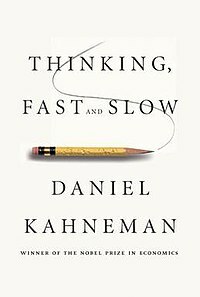 Any reading list I create must start with Thinking, Fast and Slow by Daniel Kahneman. It is by far the most important book I have read. Kahneman provides fantastic insights into decision making, which not only help you understand deeply your customers but also your own decision making processes. Although the book is somewhat dense and not an easy read, it will impact everything you do once you finish it. The perfect complement to Thinking, Fast and Slow, is Predictably Irrational by Dan Ariely. Ariely also focuses on decision making, from a behavioral economics perspective, but discusses it in a manner more entertaining than any novel I have read. This book has a certain point in my heart as Dan was on the Board of Advisors of my first company (Merscom), and his advice was as good as his book. This is a book you may stay up all night reading that will also help you build a much more successful product. 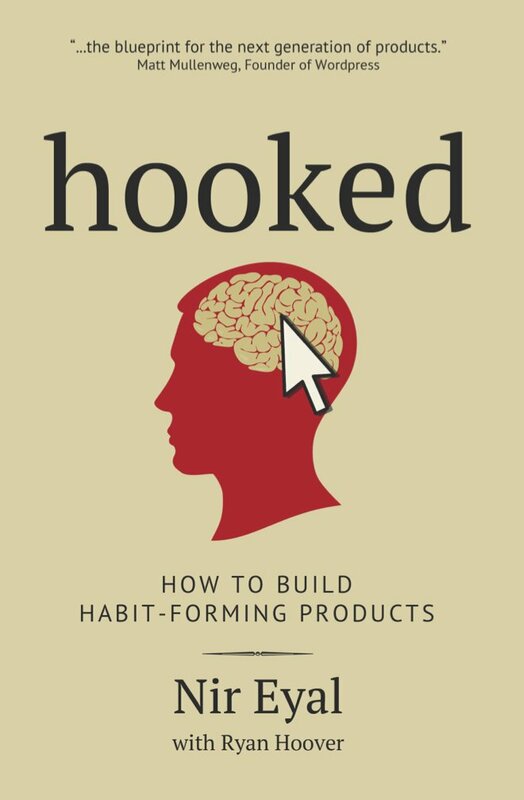 Next on my list is Hooked: How to Build Habit-Forming Products by Nir Eyal, a book I recently blogged about. Hooked is probably the hottest book among tech companies this year and presents a great framework for creating products that customers will keep coming back to. Jonah Berger’s Contagious: Why Things Catch On is probably the book I have quoted most this year. Another book I summarized earlier in the year, Contagious tells you how to generate word of mouth for your product based on real academic research, not urban myths that do not really work. I think I have quoted Contagious in more Quora answers than all other books combined (click here to read my post about Contagious). I normally hate strategy books because they either focus on trite phrases with no practical value or use anecdotes that may or may not be transferable. 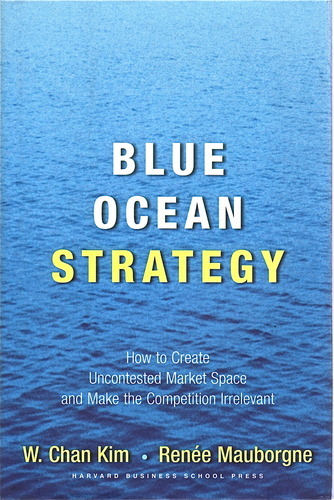 Blue Ocean Strategy: How To Create Uncontested Market Space And Make The Competition Irrelevant by W. Chan Kim and Renee Mauborgne, on the other hand, is a book that helps you create a truly effective strategy (click here for my post on Blue Ocean Strategy). Like Contagious, it is based on academic research, and it provides a framework for building a truly great company. 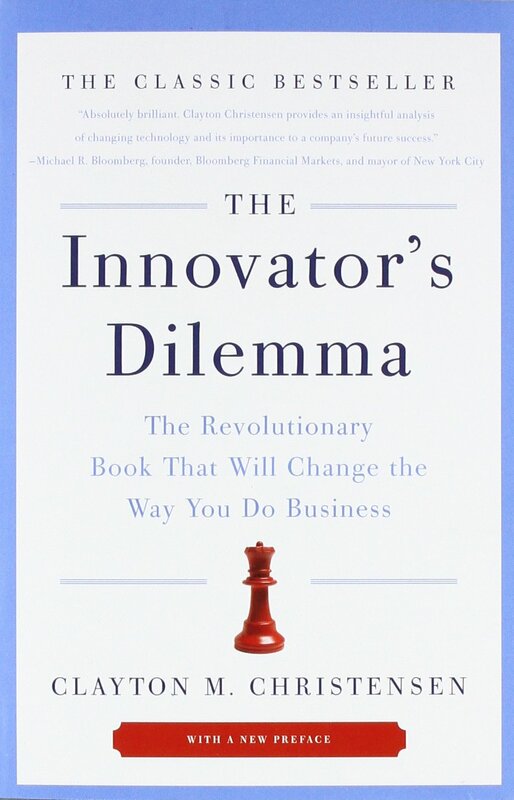 While The Innovator’s Dilemma: When New Technologies Cause Great Firms to Fail (Management of Innovation and Change) by Clayton Christensen may not be directly useful for many of you, it is most applicable to leaders of market leading companies, it provides a very helpful understand of how disruptive technologies emerge. For the game industry (which accounts for many of my readers), it is particularly illuminating and helps explain many of the shifts we have seen (my post on the key learnings from The Innovator’s Dilemma). Finally, another thought-provoking book that helps you understand much better how to use analytics, and not misuse them, is The Signal and the Noise: Why So Many Predictions Fail-but Some Don’t by Nate Silver . Nate Silver, best known for being the best prognosticator of the past two elections, destroys many of the fallacies around predictive models and provides a broad infrastructure on how metrics can help (read my post on the lessons I took away from the book). These books will probably get you through the next month or so. As I come across more great ones, I will definitely share them with everyone. One issue that is likely to haunt some of the high-flying tech and game companies that are currently doing wonderfully is their reliance on data and analytics can inhibit innovation. Clayton Christensen, the esteemed Harvard professor who wrote the seminal work on innovation, The Innovator’s Dilemma: When New Technologies Cause Great Firms to Fail, explains how deep customer understanding works against strong firms keeping up with innovators in their space. The use of data and analytics to understand and anticipate customer needs is now the driving force behind most of the exciting tech and gaming companies. This strength, however, could leave these companies vulnerable to new competition and turn today’s stars into tomorrow’s duds.